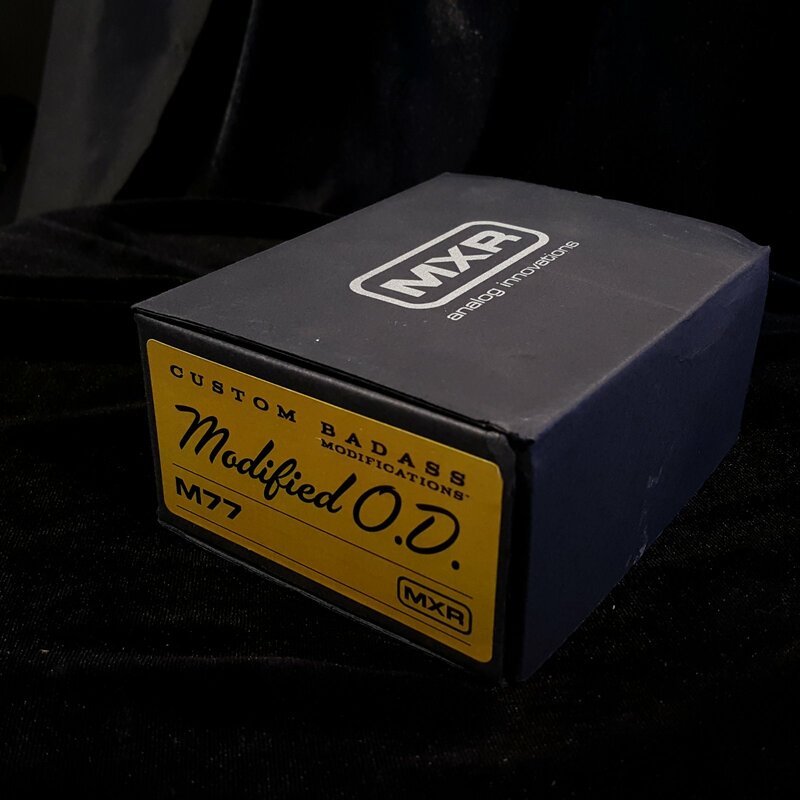 Dunlop MXR M-77 Custom Badass Modified O.D. Next up in the MXR Custom Badass line is the Modified Overdrive - a classic overdrive circuit with modern modifications for improved performance and versatility. For added flexibility, weï¿½ve added a 100HZ cut and boost control that allows for a more focused EQ when cut, or a beefier tone when boosted. The Bump switch engages an alternate EQ voicing that boosts the lows and mids. Put it in front of the '78 Custom Badass Distortion for a slew of amp-like gain structures that won't mask your tone. Experience overdrive nirvana courtesy of the MXR Custom Badass team. "My tone has never been better, and I ain't just sayin that. That Badass Overdrive is THE BEST distortion tone Iï¿½ve ever had. Its amazing!" - Nashville session ace Chuck Ward.